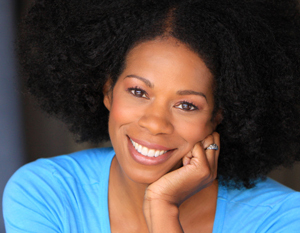 Kim Wayans has made millions laugh throughout the years with her colorful and hilarious characters, from the gossiping Ms. Benita Butrell, to celebrity impersonations like Grace Jones. She has acted in dozens of TV series like the all time favorite In Living Color and in major motion pictures such as Juwanna Mann and Dance Flick. Her one-woman autobiographical stage play A Handsome Woman Retreats has been inspiring audiences throughout the country. She also has a role in the new independent film Pariah. Aside from acting, Kim has also authored a children series titled Amy Hodgepodge, co-written with her husband Kevin Knotts, a delightful series about multi-racial fourth grader Amy Hodges who leaves homeschooling to attend regular school. This series takes a modern look at our racially diverse generation through the eyes of the main character Amy who is Caucasian, African American and Asian. 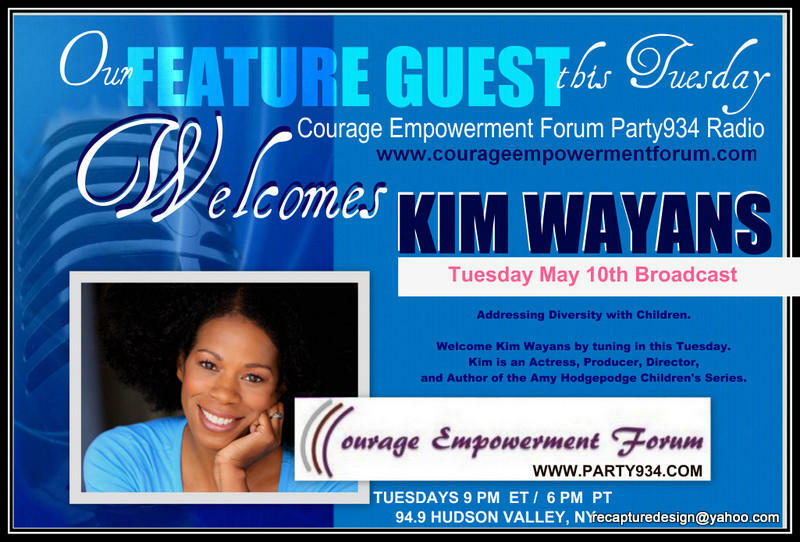 Tune in Tuesday, May 10th at 9 PM Eastern, 6pm Pacific to www.party934.com, 94.9 FM Hudson Valley, NY to hear Kim Wayans, actress, producer, director and author, as we discuss her acting career and the importance of children understanding diversity. Visit Kim’s websites at www.kimwayans.com , www.ahandsomewomanretreats.com and www.amyhodgepodge.com .